Press Release: Illinois EPA Director Lisa Bonnett issued the following statement following President Obama's announcement on the Clean Power Plan final rule. 1. 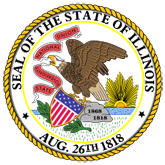 Illinois EPA Statement on Clean Power Plan Final Rule (080315IEPACPPFinalRuleStatement.doc).